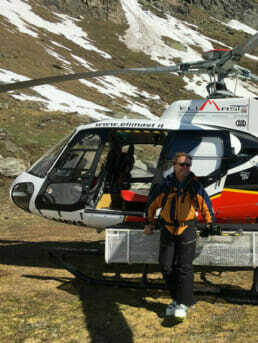 Explore the unique and unforgettable experience of heliskiing in Valle d’Aosta with us: pictures, suggestions and ideas. I am a typical Milanese citizen who loves skiing; I work as a publisher and I celebrated my fiftieth birthday a few years ago. I love sports, but I don’t approach the mountain with too competitive a spirit, or too much zeal for excess. 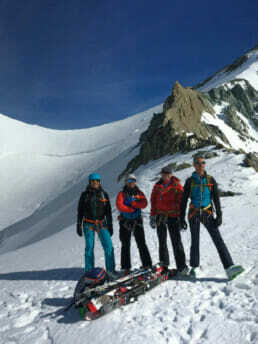 My point of view is perfectly complementary to that of guides, mountaineers and workers in the sector. You could say that I am the classic example of a consumer who wants to have fun and share his mountain experiences with others. I usually ski in Courmayeur but I like travelling and discovering new places. I wanted to try to describe, through a different approach, one of the many activities you can do on the snow, taking Milan as a starting point. I’ve spent most of my days in the office, but I head for the mountains at the first opportunity or excuse… and my dream is, sooner or later, to do all the heliski descents in Valle d’Aosta. Oops. I forgot to introduce myself: my name is Carlo Mazzola and I am the publisher of Intelligere magazine. I had my first heliskiing experience in Iceland in 2014, where, apart from having enormous fun, I understood that this activity is perceived as being the exclusive preserve of those who are fresh-snow experts or extremely skilled skiers, and also as very dangerous. Nothing could be further from the truth: I decided to try to debunk these myths. In March 2016 I began exploring the upper Aosta Valley together with a mountain guide, Jules Pession, and we decided to narrate the descents through our photographs, videos and descriptions. We added some advice and reflections for those approaching heliskiing for the first time, to push them to try even only a single descent. A central point is safety, and respect for the guide, who is responsible for the outing, a point that we will return to often. I have flown with many guides and I have realised that their presence is fundamental, useful, and above all, that it allows you to enjoy the experience more. Lastly, it is said that Milan is “the place to be”. The proximity of this city to the mountains means it is always possible to have optimal conditions, high safety levels and great flexibility. I have nothing against faraway destinations, where many of my friends go heliskiing, but here we shall concentrate on the gorgeous and nearby Aosta Valley. It is very difficult to summarise experiences, especially when they are intense and personal. But we’ve tried! We have dedicated an entire section to safety, to what is needed, and to how the day is organised: a sort of on-board manual to explain what you can expect. We cannot pass on the emotions, but we can definitely give some suggestions and advice to help you to enjoy the day better. I hope you also find the answers to some doubts that, perhaps, you have been harbouring. For each of the valleys we have skied in, we have created a section that describes the individual descents: you will find photos, short descriptions, and in some cases, a detailed analysis. And there are plenty of videos, shot with drones and 360°-views for an even more immersive experience. Here’s a tip: enjoy the pictures and videos, read some pointers and start to form an idea. Always remember that the descent can also be easy and that it is only a part of a day that begins with a scenic flight and, often, ends in dinner with friends. 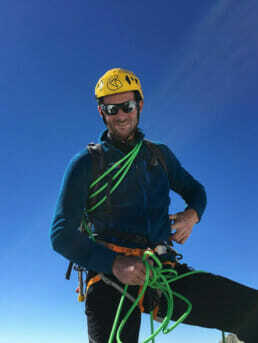 My passion for the mountain led to me becoming an Alpine Guide on the Matterhorn and has made me take on north faces, Antarctica and snow-covered slopes of all kinds. I am part of the Valle d’Aosta Alpine Training Centre and after many years, I can say that I have a special relationship with the Matterhorn. But my goal remains the most famous north faces. My dream is to bring the mountain to Milan. After many years working in finance, today I am a publisher. 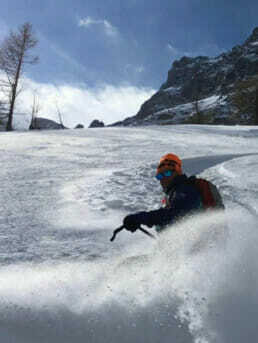 Here I will tell you how a fifty-year-old sportsperson from Milan experiences the mountains. My favourite music is the sound of snow under my skis. I have two great passions: writing and skiing. 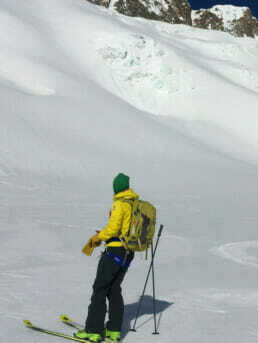 A journalist by profession and a skier for fun, I love sports and the mountains. In the past I competed in track and field and in downhill skiing, I have a degree in Modern Literature and a Masters in Marketing and Communication. My hero: Lindsey Vonn. Get the details on all the itineraries. 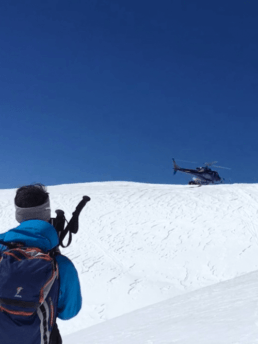 I am neither a mountain guide nor a travel agency and I have no financial interests in this sector; the sole purpose of the site is to provide information on heliskiing. To date, the only sites are maintained by companies that offer activities and hence are rightly perceived by skiers as being biased. I am absolutely autonomous and independent. The centre of my professional activity is elsewhere: I am a publisher and I deal with negotiation. If you have any doubts, questions or suggestions, don’t hesitate to write to me or contact me, maybe I can help you to remove some uncertainty with a simple answer. I cannot get inside your head, but if you write to me, I promise you an answer. I can certainly provide you with the contact details of those that are able to help you: guides, heliski operators, hotels, restaurants. And I’d be pleased to suggest how to organise a day on the basis of your wishes. The mountain is my passion. I spend as much time as possible on the slopes, as my family and friends know well! It is not the way I make my living, but it is my source of pleasure. I ski, on and off-piste, exclusively for fun. And I do not organise professional activities because there are professional Alpine guides and ski instructors who do that. I make a single exception, for charity activities. 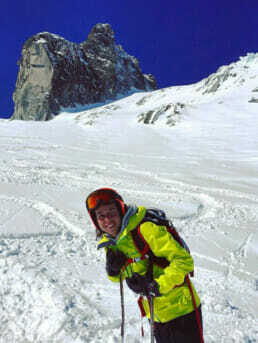 If you would like to make a significant donation, you will be my guest for an unforgettable day of heliskiing together! 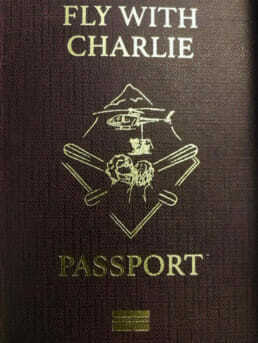 Issued in limited, very limited numbers, at the discretion of Charlie.